How do we choose the best tests to keep an eye on our cancer? I’m just three years into my cancer experience, but I’ve learned some important lessons about how to keep a watchful eye on my own health and wellbeing. I’ve had three oncologists in these three years, which means that my relationship with my doctor has started over three times. Each of them has listened to my story and my reasons for choosing my personal path to healing. I received differing opinions from two oncologists in the first days after my diagnosis, and after doing my own inquiry on my relatively rare cancer—classified as an “orphan disease” with little research and almost zero interest from the big pharmaceutical companies, I settled on a protocol of my own design. And if being diagnosed with male breast cancer wasn’t confusing enough, to this day my doctors still don’t quite know what to do with me—other than to prescribe treatments that are identical to those recommended for women. So I caught on very quickly to the fact that I needed to do some digging on my own in order to follow the latest discoveries regarding male breast cancer. Three years ago, there were virtually zero clinical trials for men with breast cancer. Searching through the Internet today I find that things haven’t improved too much. Men are now included in some experimental programs but it’s hard to find any that are designed exclusively for males with breast cancer. And some new studies are suggesting that the bodies of men and women react very differently to standard female breast cancer chemotherapies. So, the few times that I’ve detected the subtle signs that could indicate a return of my breast cancer, I’ve looked carefully at all of the tests available to find the procedure that I feel will most likely take a discerning look at the area of concern. Naturally, I run this by my doctor for her approval, but so far nobody as questioned my own insight and my “gut feeling” about where and how in my body we ought to look to make certain that no cancer cells are lurking. X-ray uses a small amount of radiation that passes through the body to quickly capture a single image of your anatomy to assess injury (fractures or dislocations) or disease (bone degeneration, infections or tumors). Dense objects, such as bone, block the radiation and appear white on the X-ray picture. Radiologists review the pictures and create a report with their findings to aid in diagnosis. X-ray exams offer a low-cost, first-exam choice. CT/CAT Scan stands for computed (axial) tomography (CT or CAT scan). It’s a rapid (five to 20 minute) painless exam that combines the power of X-rays with computers to produce 360-degree, cross-sectional views of your body. CT is able to image bone, soft tissue and blood vessels all at the same time. It provides the radiologist with details of bony structures or injuries, diagnosing lung and chest problems and detecting cancers. MRI Scan is short for magnetic resonance imaging. MRI combines a powerful magnetic field with an advanced computer system and radio waves to produce accurate, detailed pictures of organs, soft tissues, bone and other internal body structures. Differences between normal and abnormal tissue is often clearer on an MRI than CT. There is no radiation exposure with MRI machines. PET Scan refers to positron emission tomography. The highly sensitive PET scan images the biology of disorders at the molecular level, while the CT scan provides a detailed picture of the body's internal anatomy. The PET/CT scan combines the strengths of these two well-established imaging modalities into a single scan. 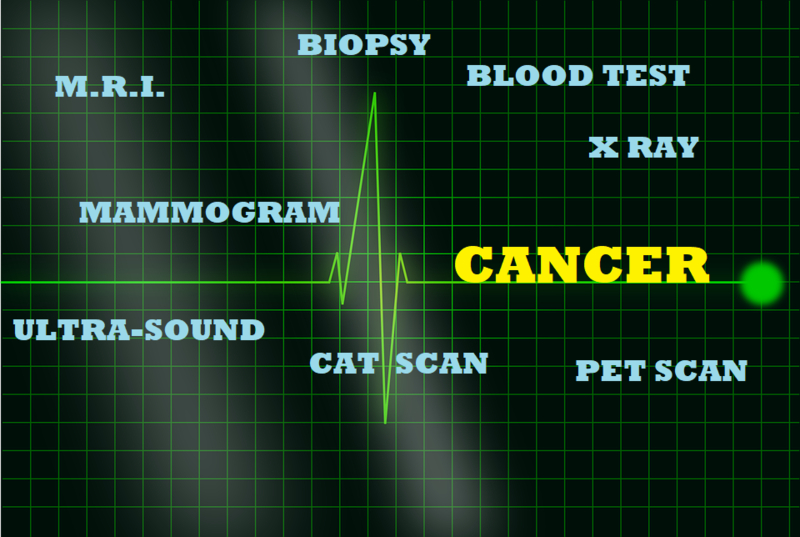 A PET scan is very different from an ultrasound, X-ray, MRI or CT scan. A PET scan allows the physician to distinguish between living and dead tissue or between benign and malignant disorders. Ultrasound scans are a medical test that use high-frequency sound waves to capture live images from the inside of your body. It’s also known as sonography. The technology is similar to that used by sonar and radar, which help the military detect planes and ships. An ultrasound allows your doctor to see problems with organs, vessels and tissues without needing to make an incision. As in MRI procedures, ultrasound uses no radiation.